Homes at the nation’s top-selling master-planned communities (MPCs) sold at a slightly quicker pace in 2015 than they did in 2014, as lot inventories increased and market sentiment improved in various metro areas. Every year since 1994, RCLCO has conducted a national survey identifying the top-selling MPCs. We recently surveyed master-planned communities throughout the country to establish the 20 top-selling communities for 2015. As a group, total sales were up from 2014 levels, with many developments—particularly those that improved community segmentation—achieving increased home sales. Though total sales are up for 2015 overall, the group experienced a slight slowdown during the second half of the year compared to 2014. For communities that showed a decrease in sales, most developers cited a reduction in lot inventories, decreasing affordability, and the adverse impact on Houston communities of the decline in oil prices. 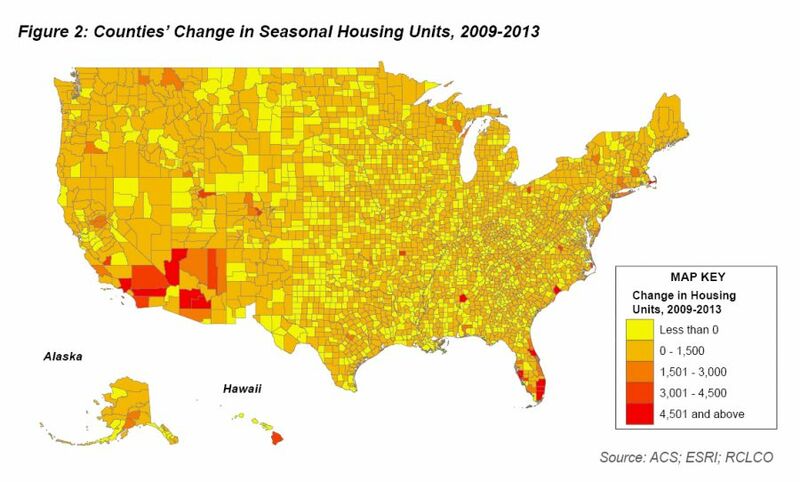 As affordability continues to persist as a significant threat to well-executed communities in desirable markets, master-planned communities need to consider offering some alternative and denser product in order to satisfy large underserved demand pools at lower price points and further improve market penetration. The chart below summarizes the top-selling communities of 2015 and the comparison with their rank and annual sales in 2014. In Houston, there has been a cloud of uncertainty as businesses and economists assess the impact of sub-$40 oil on the local economy. Though final employment numbers for 2015 have yet to be released, most Houston communities, particularly those along the Energy Corridor, reported noticeable impacts from the decline in oil prices. Though Houston communities dominated the 2014 top-selling master-planned community list, with eight of the 20 top-selling communities, only five Houston MPCs made the list in 2015. Affordability, oil concerns, and the approaching build-out of The Woodlands and Cinco Ranch were the leading reported causes for this reduction. In addition, two communities that contain the largest supply of remaining land in the region, Bridgeland and Sienna Plantation, were ramping up new sections in 2015 and were not offering their full segmentation programs throughout the year. In general, move-up and luxury product segments experienced the most significant slowdowns in Houston communities due to the discretionary nature of these home purchases and a decline in corporate relocation purchases. Economic uncertainty and a decline in consumer confidence has kept some households in the rental market, postponing home ownership until the Houston economy stabilizes. Despite slowing new home activity at higher price points, strong segmentation and pent-up demand at price points below $350,000 have helped some Houston communities maintain significant penetration of the entry-level segment, with these purchases more dependent on life stage changes. The Dallas-Fort Worth MSA’s robust employment growth and the expansion of large suburban employment cores in North Dallas, including those along Highway 75 and the Dallas North Tollway, have helped spur strong residential activity in Collin County. With Plano largely built out, most new home activity continues to push farther north into Frisco, Prosper, and McKinney. The Dallas North Tollway serves as the spine for much of the growth in the area, with most communities in the Frisco area offering high-priced product, benefiting from proximity to rapidly growing employment cores and regional shopping and entertainment destinations. Republic Property Group’s Phillips Creek Ranch, located in Frisco, narrowly missed the Top 20 this year, but it achieved 387 sales with 60% of sales occurring above $500,000. Farther north along the Tollway, Republic Property Group’s Light Farms has achieved critical success as a price alternative to Frisco by offering strong schools and more attainable price points in a well-executed, highly amenitized environment, though more distant from major employment and retail concentrations. Westridge, located in McKinney, has been able to achieve similar success leveraging the community’s desirable location and abundance of product positioned below $300,000. 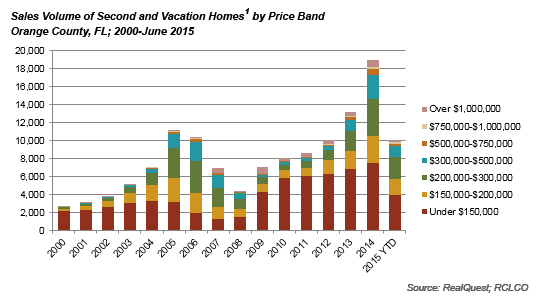 In Florida, MPCs continued to experience higher demand across the state, from both family and older buyers. Top-selling communities report that product diversification is a critical success factor behind their sales, driven by luxury offerings above $500,000 and, increasingly, value-oriented offerings between $200,000 and $350,000. 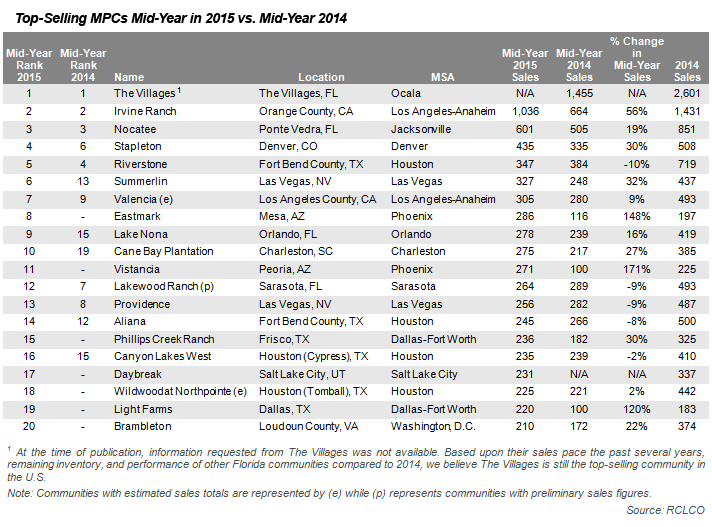 The Villages in The Villages, Florida, continues its reign atop the list of top-selling MPCs, with 2,294 total sales in 2015, although this is down 12% from 2014 levels. Nocatee experienced a 30% increase in sales to 1,105 total sales in 2015, due in part to increased product segmentation across multiple price bands and age groups and through the opening of several new and distinctive neighborhoods. Lakewood Ranch sales are up 9% over 2014, with the community citing improved market fundamentals and plans to expand its amenity offerings, including a second clubhouse as well as renovations to the existing amenity center, as key sales drivers in 2015. In Central Florida, Lake Nona continues to emerge as a major employment core with continued expansion and growth of Medical City, allowing it to maintain a strong sales pace in 2015. Viera, located in Brevard County, joined our top-selling master-planned community list for the first time after a 42% increase in sales over 2014. Cane Bay Plantation in Charleston, South Carolina, reentered our list of the 20 top-selling master-planned communities at number nine with 520 sales in 2015. The community continues to benefit from a high-performing neighborhood retail center, strong schools, and Charleston’s position as a leader in economic development and a premier center of arts and culture in the Southeast. Many of the top-selling communities in the West chalked up substantial sales increases, helped by strong employment and income growth. In Las Vegas, the success of Downtown Summerlin, a regional shopping and entertainment destination, and the addition of new villages helped Summerlin achieve 602 sales, a 38% increase over 2014, despite the developer’s focus on price over volume. Irvine Ranch, located in Orange County, California, achieved the second position on our list of top-selling master-planned communities with 1,674 sales by improving market penetration through the introduction of lower-priced product. Despite their locations on opposite sides of the MSA, Phoenix’s top-selling communities, Eastmark and Vistancia, experienced significant increases in activity over 2014 levels with year-over-year growth of 181% and 107%, respectively. Though both communities are well-executed and contain an enticing level of amenities, the overall Phoenix market is gaining momentum again after a lull between 2012 and 2014. Single-family permitting activity of 14,152 in the Phoenix MSA through October 2015 was 45% higher than during the first 10 months of October of 2014. Revised January 06, 2015. Rankings have been revised to reflect sales estimates not available at time of original publication or sales numbers provided by developers after time of original publication. The ranking of 2015’s top 20 communities is based on total home sales as reported by each individual community. 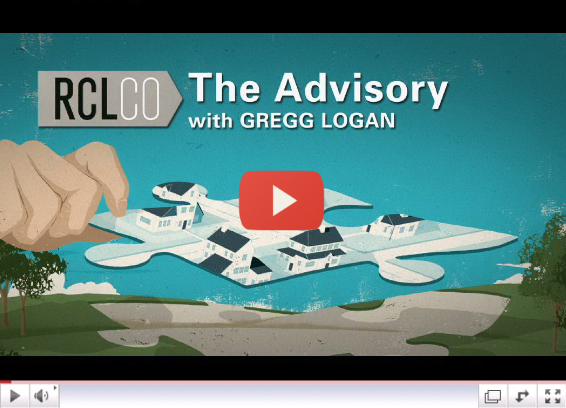 We will be publishing an in-depth RCLCO Advisory based upon interviews with developers of several of the top-performing communities to highlight and provide analysis of their critical success factors and strategies for success in 2015, and how they plan to continue succeeding in 2016. Key community investments, product innovation, marketing tactics, new business lines, and builder relationships are among the many topics our interviews will explore. Article and Research prepared by Todd LaRue, Managing Director, and Cameron Pawelek, Senior Associate, of RCLCO’s Community and Resort Advisory Group.